Water has long provided a weapon for engineers. Fields can be flooded to deny an enemy access or to destroy an enemy’s crops. Water warfare has been even more pronounced in the Low Countries, the nations between France and Germany along the English Channel. Holland may be known for its polders, the picturesque fields protected by dikes and created by windmill-powered pumps that drain the sea, but her wars of independence from Spain are known to scholars of military history for their constant, deliberate flooding. The Dutch not only built an entire national defense system out of flood plains, they maintained their enormous national moat as the backbone of their defense into the 1960s. 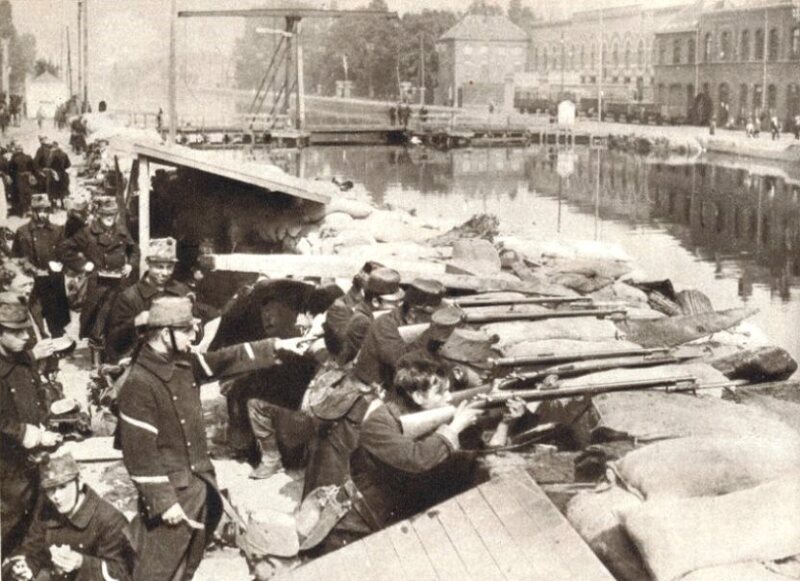 Another chapter is written in the wet history of this region today when the defenders of doomed Belgium open the sluices to fill as much of the southern approach to Antwerp as they can with water. The Kaiser’s reservists are methodically approaching to take the city for their emperor, and they have already shown their willingness to commit atrocities on civilian populations. Battles have always involved fire; very few battles have ever been fought without flames — for campfires, to harden spearpoints, to burn the dead, to destroy the enemy’s fortifications. Today the defenders of Antwerp are also setting fire to buildings around the forts which ring the city. A law required dwellings within six hundred feet of them to be made of wood, but the ordinance has been widely ignored and rarely enforced. 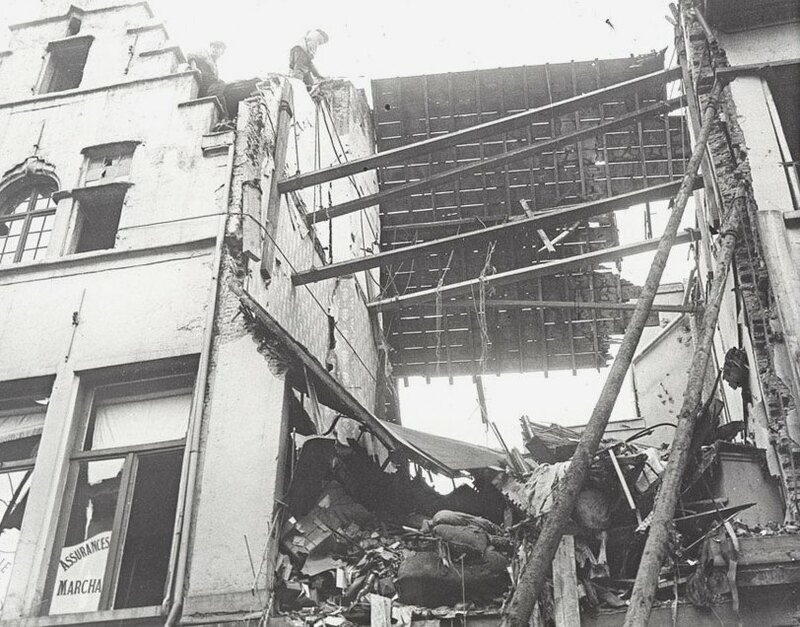 Brick and mortar structures are left standing, limiting the defenders’ fields of fire. 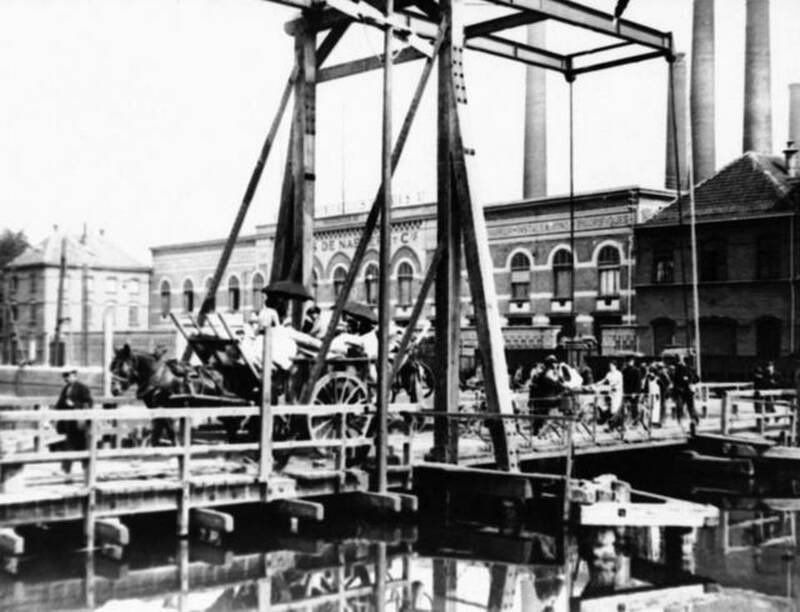 Refugees have been streaming out of Antwerp for eight weeks, but now there is an added sense of urgency, for one of the Kaiser’s Zeppelins made a visit three nights ago to drop 1,800 pounds of bombs. The damage was limited, but the message was clear. The myth of ‘brave little Belgium’ is that her courageous defenders have slowed the German advance and upset the Kaiser’s timetable. 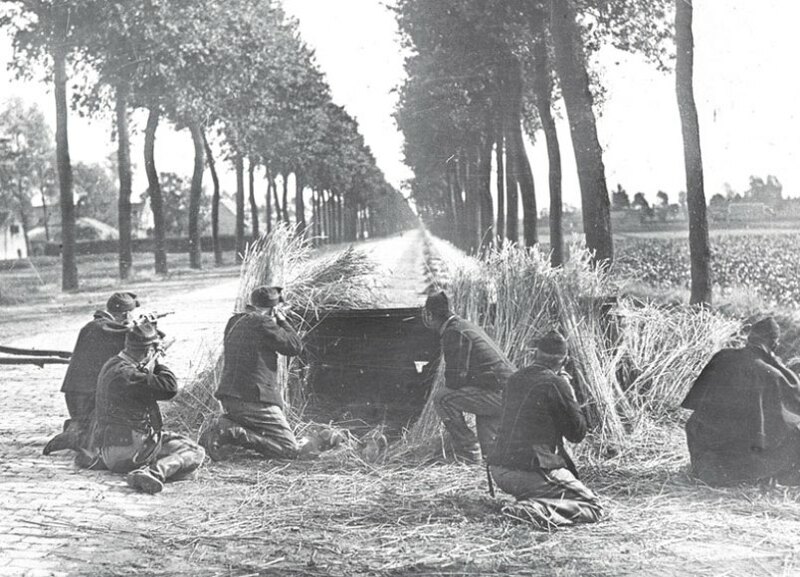 In fact, his generals were still precisely on schedule into the first week of September, having marched the bulk of their armies right past Belgium’s fortresses to meet and defeat France while follow-on forces reduced the Belgian defenses — exactly as called for in their offensive doctrine. However, the British press is adopting the narrative of a decisive Belgian contribution to the war as they receive it from the government. 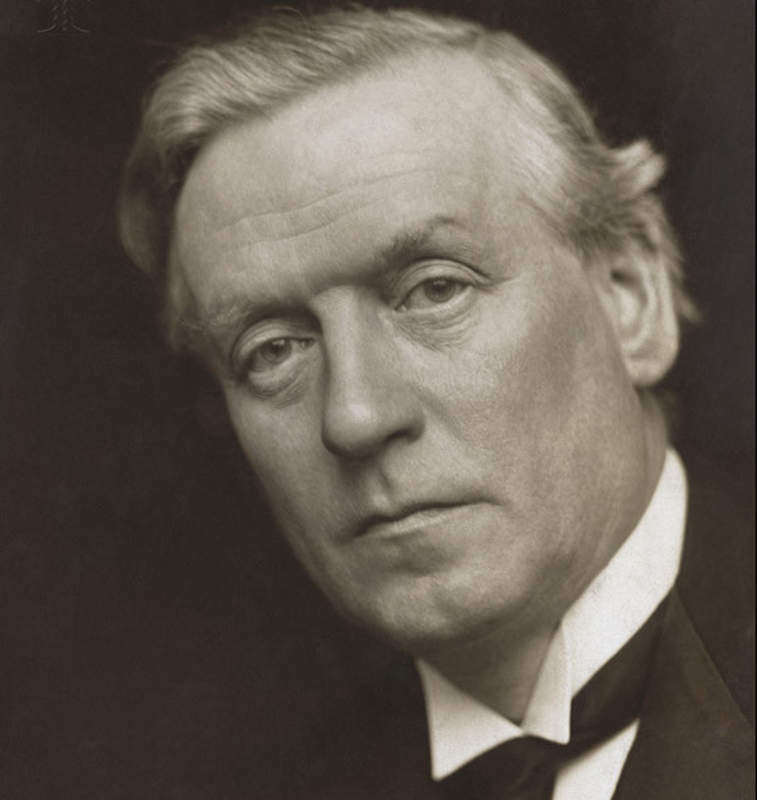 Prime Minister Asquith is keen to preserve Germany’s violation of Belgian neutrality as the nation’s noble cause for declaring war, and to that end his cabinet has already agreed to send Royal Marines into Antwerp under the amateur leadership of Winston Churchill. The myth of Belgian resistance survives even today, but it is clearly just a century-old talking point. Against enormous odds — and the biggest guns on the planet — Belgium is doing her modest best. It is just not enough, not even with flood and fire. 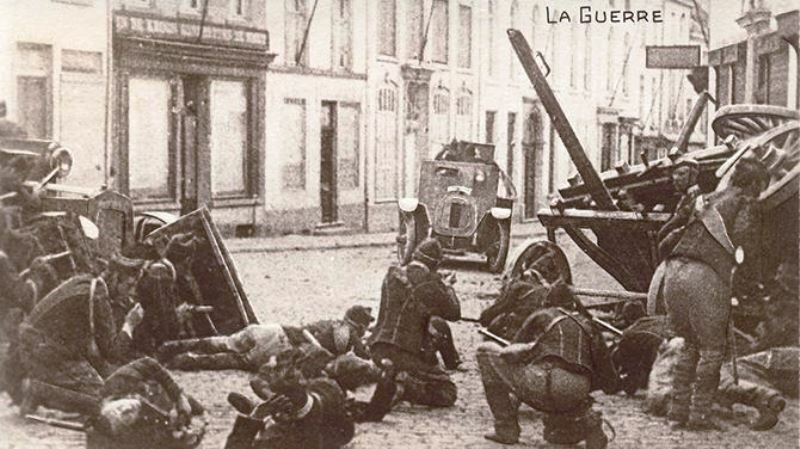 Yet this is still a historically-important siege, for both Britain and Belgium are using armored cars. 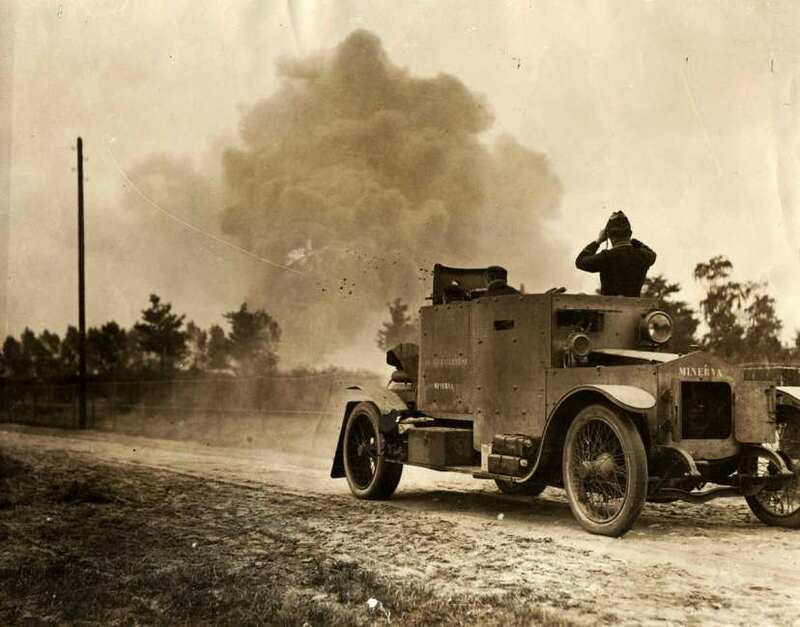 In three sorties conducted against German lines of communication since August, the defenders of Antwerp have enjoyed great success with the open-topped Minerva. Though her off-road potential is limited, the Minerva is the undisputed master of Belgium’s cobblestone highways and the towns along them. Troops fighting alongside the Minerva are already innovating tactics that will become familiar to future mechanized infantry formations. Belgium is not unique: Russia has armored cars fighting on the Eastern Front, though they are not numerous or off-road worthy enough to make a difference. In January, what Churchill has seen here will become a secret weapon development project that births the age of iron cavalry, enabling men to cross flood and fire with machines. But the weapons of the future are not coming fast enough to save Antwerp. Right now, the only questions are how long the city can be held — and at what cost. 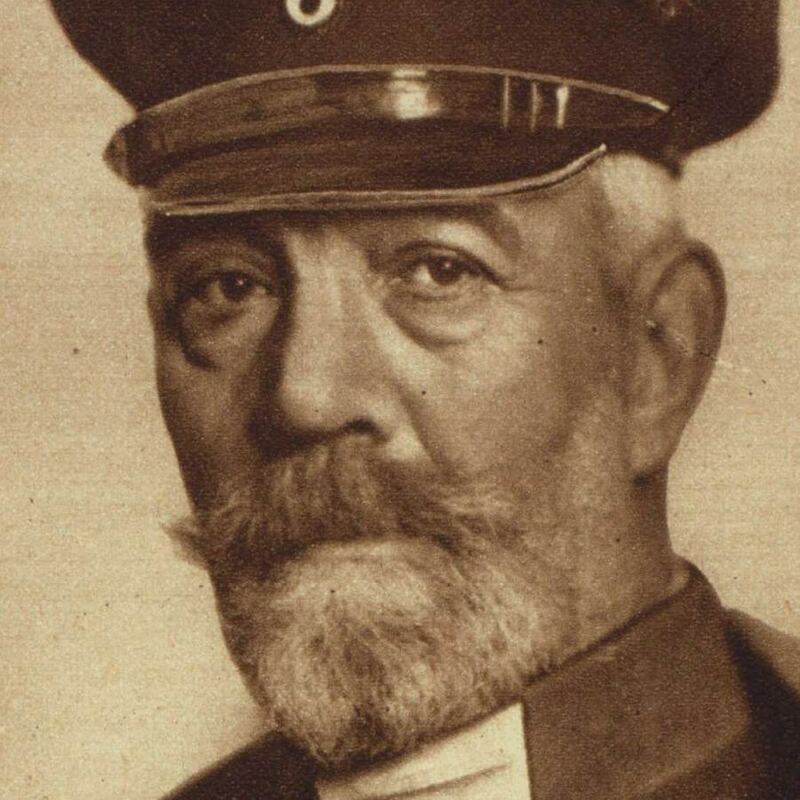 28 September 1914 – Identify: Friend Or Foe?